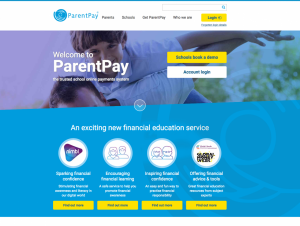 ParentPay is FREE for parents to use and there are no transaction charges. You will be given unique log in details for your child’s account in the first week of term. Please contact the School Office if you require another log in for a second parent or grandparent. We use ParentPay to enable parents to pay in advance for their children’s school dinners. For nutritional and social reasons we would prefer all children to take up the school dinners option (see Family Dining information sheet). The cost is £2.30 per day. If your child is in Key Stage 1, they are entitled to free school meals, so no charge will be made. Our varied, tasty and nutritionally balanced menu is prepared on a three-week rolling basis. If your child has an allergy or dietary requirement, please advise us so we can cater for them accordingly. Breakfast Club, After School Club, Cook School and trips can also be paid for through ParentPay. The items on your overview page are there just in case you want to use them. For example if you want to pay your Breakfast Club a month in advance you can use the ‘Top up’ facility. It is the items already in your basket that must be paid for. Childcare vouchers can only be used to pay for childcare facilities. Once you have applied for your childcare voucher and received your confirmation email please forward to admin@sh.ebor.academy. Please note, childcare vouchers are not directly refundable to the parent for tax reasons. All our communication is sent out via ParentPay. You then have a record of everything sent to you from school and will be able to access them from your account. If you have no access to the internet, please contact the School Office so we can arrange an alternative method of pre-ordering school meals.